< back Access to a video camera and long summers on his grandparents’ farm led producer and director Ryan Prows to begin making his own short films at an early age. Finding he had a flair for directing, Ryan formed Rorschach Productions with his friend and fellow writer Dave Campbell while both were still in high school. After enrolling in film school at Georgia State University, Ryan found time to continue producing and directing films for Rorschach, going on to win awards screening short films such as Hellhouse, The Rusty old Bike and Gunmetal Grey at national film festivals and competitions. In addition to film school, Ryan honed his technical skills while working for one of the first video production companies to produce content exclusively for Internet audiences. One of these Internet-distributed short films, Drive, won audience acclaim and the Best Comedic Short Award for the Showtime Channel’s online competition. Now, almost a decade later, Prows has filmed at Sundance and has made award-winning short films in a mere 48 hours as part of an international filmmaking contest. His latest short film, Gunmetal Grey, recently won top prize at Image Film & Video’s Short Film Slam, where it was the audience favorite among the many competitors. The film has been invited to compete in the 2005 Atlanta Film Festival. 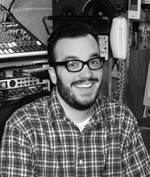 Ryan is currently General Manager of the Georgia State University television studios, will soon complete his undergraduate work with a double degree in film/video production and creative writing, and is also working on new projects for Rorschach.